This week we celebrate Independence Day in the U.S. It’s a time to ponder the great men and women who dared to dream of a free nation ruled not by a monarch, but by law. Among those amazing founders was Benjamin Franklin. He was a great statesman, businessman, father, inventor of bi-focals, swim flippers, lightening rods, the Franklin stove and much more. He founded the nation’s first public library, a hospital, an insurance company, and a fire company. He helped write the Declaration of Independence and the Constitution, and was an ambassador to France. On top of all that, he was the inspiration for today’s FranklinPlanner. Franklin was not always a great or successful man, however. At the age of 17 he ran away from his home in Boston, estranged from his family because of an argument he had with his brother. He tried and failed twice in business. He was the father and single parent of an illegitimate son whose mother abandoned the child to Franklin’s care, unable and unwilling to live with them. As a young adult Franklin felt like a dismal failure, but he decided to change. When Benjamin Franklin was 20 years old, he established a plan for his life. This plan began with an introspective list of 12 virtues—values and attributes that mattered most to him. He determined he would devote his life to improving upon these virtues one week at a time. Frugality. Make no expense but to do good to others or yourself; ie., waste nothing. Chastity. Rarely use venery but for health or offspring, never to dullness, weakness, or injury of your own or another’s peace or reputation. After that, he lived his life in 13-week cycles—focusing on strengthening one virtue each week. We know what his determined actions brought about. Benjamin Franklin became one of the most accomplished, successful, and influential people in world history. It is also possible that Franklin truly did find it difficult to focus on humility. This virtue was suggested to him from an outside source, and not from within himself. It’s always harder to work enthusiastically toward someone else’s goals. Even if our brains tell us these goals are good, we still may not be committed in our hearts. 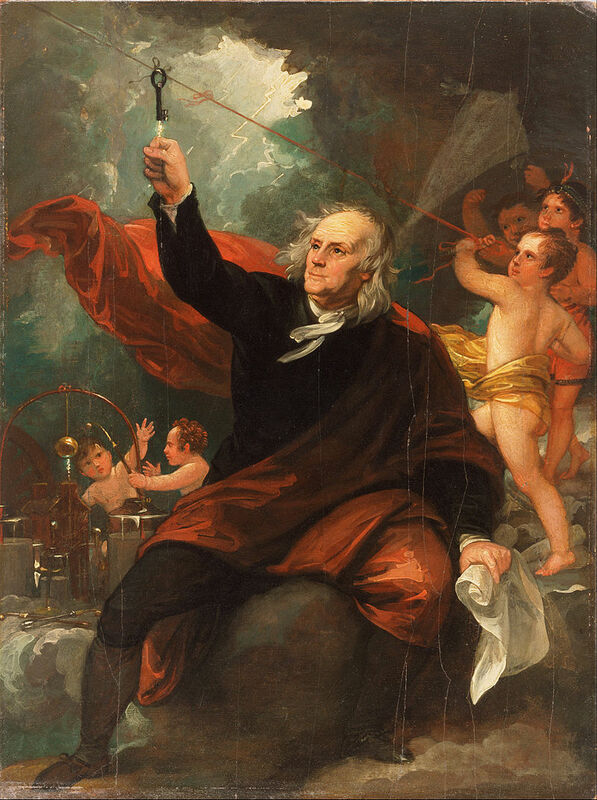 Throughout his life, Benjamin Franklin kept a small private book where he planned and recorded the events of his day, noted the weather, and tracked his progress toward his goal of improving upon his list of virtues. Even after his death, his little black book has proved to be an inspiration. Hyrum W. Smith read Franklin’s autobiography as a young man and the concept of keeping a book to track your private personal goals stuck with him. After years of study, Smith developed the Franklin Day Planner—a tool that would not only help us manage our daily activities, but also serve to push us toward achieving the things that truly matter most in our lives. In 1984 he began marketing his planner, and started the Franklin Institute. According to Hyrum Smith, a key element of managing our efforts and making the most of our time is to create a list of our own governing values and ensure that our daily tasks, goals, and efforts are based on the values that matter most to us. Sound familiar? Benjamin Franklin’s devoted life as recorded in his little black book continues today in the FranklinPlanner. The more you learn about your FranklinPlanner, the more you’ll realize that it’s so much more than a way to track your daily tasks and appointments. It’s a proven tool to ensure you master yourself, and spend your precious time focused on what matters most to you.